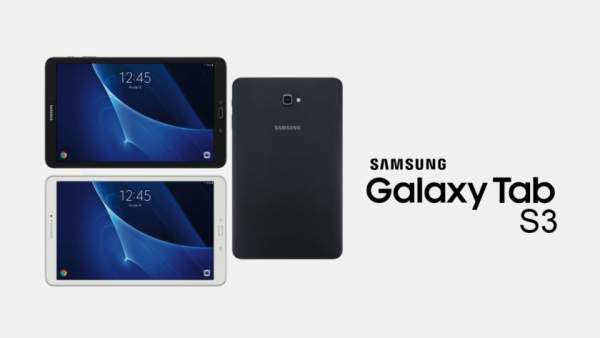 Samsung Galaxy Tab S3 Release Date, Price, Specifications, Features: Samsung is unveiling some amazing tablets along with the smartphones this year. After the rumors and official news of all the smartphone by Samsung, a new rumor about the Samsung Tab S3 lined up the list. The news of Galaxy Tab S 3 was in the market for the last quarter of last year but due to the star gadget, Galaxy Note 7 issues, the date was pushed ahead, and no confirmation by the company is received. A few weeks ago, Samsung Galaxy TabS3 got the WiFi as well as Bluetooth certification. This confirms that Samsung will soon unveil the device in the market. The news of many smartphones which is going to be revealed soon is hitting the again and again, but this tab seems to to be special. The model number of the device is SM-T825. The specifications and the features of upcoming Galaxy Tab S3 were leaked on the website Weibo. According to it, it is rumored that it will be as 9.7 inches device with a capacitive touchscreen. The upcoming tablet will be powered by Exynos 7420 chipset coupled with a 4 GB RAM to provide better multitasking. Exynos 7420 was employed in Galaxy S6 and S6 Edge. So, it could have been better. Check: Samsung Gear S3 Update. The fingerprint sensor will be embedded under the Home button on the front side of the display. A new feature called as USF 2.0 storage technology is introduced in the tablet. SM-T825 is the LTE enabled tablet, and the other SM-T820 will be a WiFi model only. For the camera lovers, the primary camera o the device is 8 megapixels. On the front board, the rear camera of 2 megapixels is given in the model. The tab is powered by the battery backup of 4000 mAh. Other connectivity options like Bluetooth, WiFi, GPS, USB type-C port is available on this device. The leaked report didn’t mention about the internal memory. However, the upcoming Samsung tablet will have a UFS 2.0 storage tech. The company would launch the device in two variants namely LTE (SM-T825) and WiFi only (SM-T820). The news of this tab got the speed when the market received the news of Wi-Fi certification from the Wi-Fi Alliance and the Bluetooth certification from the Bluetooth SIG. Although there is no official confirmation of the device. Samsung has not released ant statement indicating the launch of the device. The device is expected to launch at the Mobile World Congress (MWC 2017) going to be held in Barcelona next month. The price of the tab is still a mystery. No one can predict the price and availability of the tablet as of now. Hope you liked the article and stay tuned for more updates and rumors.